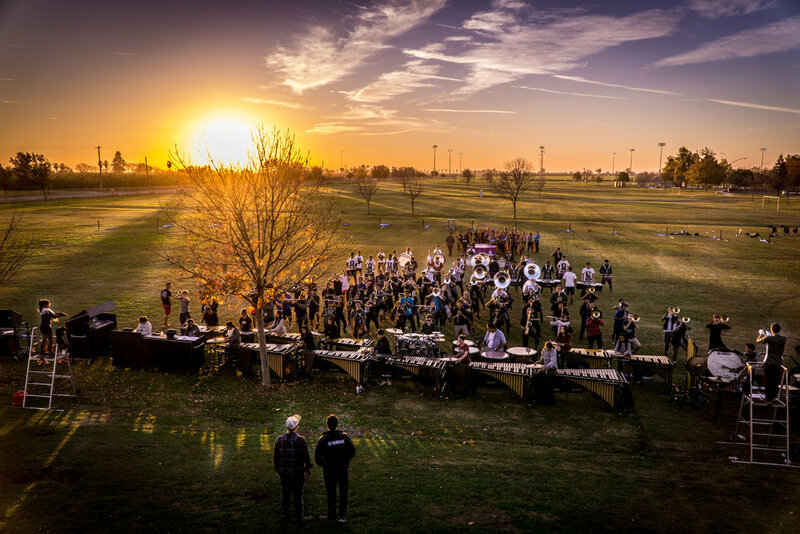 About | Chino Hills High School Music Department — Chino Hills HS Music Dept. Marching Band and Color Guard, Concert Band, Wind Ensemble, Jazz I & II, Marching Indoor Percussion Ensemble, and Winter Color Guard. This breadth of offerings provides opportunities for anyone interested in being a part of the musical world at Chino Hills High School. The Chino Hills jazz ensemble is a separate musical group for impassioned elite players of the Regiment who are willing to be challenged with a higher difficulty level of music. The ensemble plays several jazz genres such as latin, blues, funk, swing, classical jazz, smooth jazz, and jazz rock. The jazz ensemble is also dynamically competitive, facing high schools all over California. Chino Hills High School's jazz ensemble holds the ability to exemplify specific talents in each individual's music career, and also provides a firm musical foundation for those who want to take a musical path in the future after high school. The jazz ensemble is an activity that benefits mutually between audience and players. It is truly a challenging experience for the jazz players and an amazing show for the audience. The Jazz I & II are directed by Steve Krumbine.